Join us April 20 (or other dates this year) to learn how you can start composting organic waste at home, and in the process cutting your waste output and producing nutrient-rich material for your garden, lawn or landscape. Our 90-minute “Let’s Make Some Black Gold” workshop shows you the basics and benefits of composting, how to get started, steps to build a home compost system, where and how to use compost products, and what UF/IFAS Extension Sarasota County is doing around the region with composting, waste reduction and recycling. Register early at ufsarasotaext.eventbrite.com to reserve your seat and receive notice of any changes. 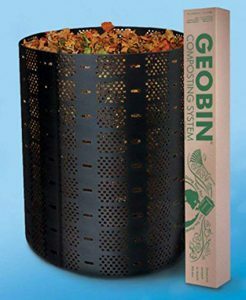 Attendees will have the option to purchase a GEOBIN compost bin (see registration options, below). Workshop PLUS a GEOBIN compost bin: $25 registration (includes bin cost), which must be made in advance of the workshop. Workshop with no GEOBIN: Cost is free. Make 2019 your year to start composting and reducing your impact on the environment! Instructor: Randall Penn, UF/IFAS Extension Sarasota County waste reduction agent. For more information, call 941-861-5000 or email sarasota@ifas.ufl.edu. If you require special accommodations to attend one of our events, please contact us in advance at 941-861-5000 or sarasota@ifas.ufl.edu.